A number of eggs sold at Woolworths, Coles and independent stores across the country have been recalled due to a potential salmonella contamination. Food Standards Australia New Zealand issued a recall of Bridgewater Poultry eggs after five cases of salmonella enteritidis were linked to the farm, according to Victoria’s health department. The recalled Bridgewater Poultry eggs have been available for sale at Woolworths and independent stores in ACT, NSW, VIC and TAS, plus Coles stores in VIC and SA. 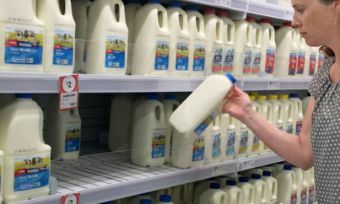 The recall effects the following cartons with a best before date of March 20, March 23, March 27, March 30, April 3, April 6, April 10, April 14, April 17, April 20, April 24, April 27 or April 29, 2019. Victoria’s Chief Health Officer, Dr. Brett Sutton, said all other eggs are safe to eat. “It is important to know that not all eggs are affected, but any eggs carrying the listed brands should return them to the point of sale for a full refund,” Dr Sutton said. “Alternatively, they can be discarded by throwing them into the garbage, not the garden or compost. These eggs should not be given to pets or livestock. Food products contaminated with salmonella may cause illness if eaten. Dr. Sutton said salmonellosis symptoms include fever, headache, diarrhoea, abdominal pain, nausea and vomiting. Symptoms typically start around six to 72 hours after the contaminated food is consumed and usually lasts for four to seven days but can continue for longer.